Gloveworx is a state-of-the-art boxing studio and athletic performance facility that combines boxing training with strength and conditioning in an enthusiastic team environment. From high-energy group training to personalized one-on-one sessions, we have boxing workouts for everyone. Throughout all of our sessions, there are never more than five people working with one coach, ensuring that all of our contenders receive the personal attention they deserve. Whatever your goals may be, you’ll train like an athlete—gaining formidable strength, a clear mind, and the ability to box like a pro. 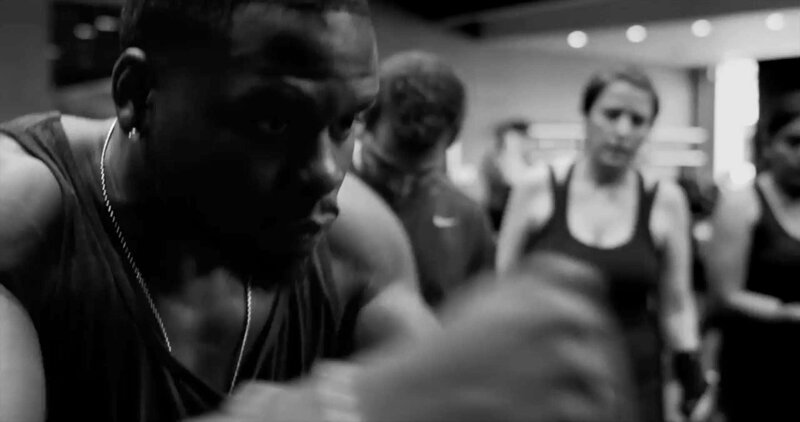 Gloveworx is the brainchild of Leyon Azubuike,­ a former US Nationals Heavyweight competitor. The passion and skill he gained as a boxer and the leadership he developed as a Temple University Football Captain helped shape his motivating coaching style. Leyon loves to see people walk out of the studio after his boxing workouts with the confidence that comes from learning how to box and reaching their fitness goals. From former professional athletes to boxing champions, Leyon’s team of expert coaches bring a diverse array of skills to help you reach and exceed your fitness goals. Through every one of your sessions, they’re here to motivate you, push you out of your comfort zone, and help perfect your technique. Our state-of-the-art studios have every tool you need to become unstoppable. They’re complete with heavy bags, speed bags, advanced cardio stations and a wide array of weight training equipment alongside our competition-size boxing rings and customized turf areas used for functional strength, speed, and conditioning. GWX 101 sessions will hone the basics of throwing punches and boxing footwork to prepare you to Boom with the best. We encourage new contenders to start with our 101 session, as well as seasoned GWX contenders who want to fine-tune their technique to keep getting better.